It’s that time of the year again…when everyone reminisces about the year behind us and plans for the year ahead. To celebrate the end of 2016, Suited and Savvy thought back to our top moments of the year. This short read should be read 100 times over. I once had someone say to me ‘Why do you consider yourself a feminist? They’re crazy intense and their message easily gets lost.’ Well this book should have been my answer. You may not recognize the author, Chimamanda Ngozi Adichie, but you may recognize her words. Part of Adichie’s written words and TED Talks are included in Beyonce’s Flawless. Adichie shares stories from growing up in Nigeria that have influenced the feminist she’s become today. Sure, the US and Cuba restored diplomatic relations in 2015, but it wasn’t until this year that commercial flights began flying to Cuba. Why is this important? Because now, regular people like you and me can walk the streets of Havana (with some travel restrictions, of course) and take in the historic beauty of a place that will transport you into another time period. This also speaks volumes to the potential of enhancing Cuba’s economic power as well as import and export to the United States. Who knows what the future holds, but for now, this is a symbol of how relationships can be restored and people can learn to move forward. Remember that for 2017, folks! Meryl Streep was nominated for a Golden Globe for her performance in Florence Foster Jenkins. This is Streep’s 30th nomination. Yes, you read that correctly. The big 3-0! Streep is the most Golden Globes nominated person ever! And if Streep does win the shiny gold statue, she will set the record for the most Golden Globe wins. Needless to say, she will probably have a good night on January 8. One of my favorite books this year is by Paul Kalanithi, When Breath Becomes Air. It’s an autobiography of a doctor who explores the greater meaning of life and success when confronted with his own mortality. He explores the complexities between the personal and professional self and tries to find what it is that really matters. Not only is it a great read, but it compels readers to explore these same concepts in their own lives. It’s ironic how a book about the end of one’s life can bring new life to anyone reading Kalanithi’s story. These super cool paintings are taking over the art world one afro puff at a time. FroTastic Divas serve as a reminder for women of all ages to embrace their natural beauty. With their signature bubble gum bubble in each work of art, these FroTastic Divas got their start earlier this year and don’t plan on slowing down in 2017. Contact FroTastic Divas to order a custom made painting. No matter your feelings about the outcome of the 2016 elections, there is one thing we can all agree on…2016 was a pretty good election year for women in Congress. The number of minority women in the Senate quadrupled this year. Take a peak here for a list of some of the women elected into Congress. This compilation of interviews, pictures, and personal documents allows readers to enter the life of Supreme Court Justice Ruth Bader Ginsburg (aka Notorious RBG). Ginsburg has sat on the court for more than two decades. And during that time, she has not had time to slow down. 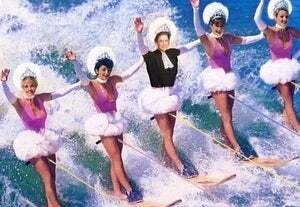 While Ginsburg stands at a mere 5’1 and is 83 years young, she still waterskis and does 20 pushups twice per week! All in between fighting for women’s rights. In late October, while most of us were drinking Pumpkin Spice Lattes and planning our Halloween costumes, the women of Iceland were taking a stand against the gender pay gap. It’s a common known fact that women are typically paid less than their male counterparts. In Iceland, women make about 70 cents to the dollar that a man makes, or 30% less. What do you do when you make 30% less? You work 30% less, of course! The Icelandic women decided to decrease their work days by 30% and left their standard 9am-5pm jobs promptly at 2:38pm.”Essentially they were saying: “If I were a man, I might have earned my paycheck by now.” Seems legit! This year has been insane (I can almost guarantee that you’ll be telling your children about the 2016 Presidential election) but the good new is, as early as 2018, we might be able to abandon this world and cultivate a new one. Elon Musk has managed to not only come out with some “affordable” (insert side eye here) Tesla models and self-driving cars, but also a commitment to send the first humans to cultivate Mars. These aren’t just pipe dreams either. Elon Musk has a whole project plan with milestones and target dates that makes the project manager in me believe that implementation might actually be a thing. So if Earth is becoming a bit too much for you and the idea of starting a whole new civilization is appealing, just sit tight a couple more years. My only question is this…if we managed to screw up this planet, what makes us think we’ll get the next one right? Food for thought. I’m sure everyone has heard or seen this TED Talk by Amy Cuddy, but nonetheless the message is great and that’s why we’re adding it to the list! Cuddy provides personal experiences and evidence that something as simple as your body posture can impact your thoughts. Side note: I tried power posing before an interview once. Did the interview go well because I power posed? We’ll never know, but I like to think so! LeanIn.Org and McKinsey & Company partnered together to release the Women in the Workplace 2016 study. This study evaluates the environment of corporate America and how it impacts women. The study is comprised of data on gender and career experiences from 132 companies and 34,000 employees. Unfortunately, it comes as no surprise that women fall behind their male counterparts in corporate America. However, there is still hope! The study’s conclusion is that companies are starting to become aware of their role in achieving gender equality. The study notes that gender equality leads to a more fair, inclusive, and collaborative environment for all employees. Issa Rae changed the game with HBO’s Insecure. Why, you ask? Because now we have a hilarious portrayal of the things that people in their 20s and 30s actually go through! Insecure depicts the lives of friends as they try to cope with dating, careers, friendships and the many other awkward experiences that we can all relate to. No seriously! A great dinner table topic is “What character in Insecure do you most identify with?” Try it! Issa Rae was nominated for several awards for Insecure, and it’s well deserved. If nothing else, this is one of those series that makes you laugh, think, and give yourself a little bit of slack because at the end of the day, we’re all a little bit Insecure! This movie (and novel), staring Octavia Spencer, Janelle Monae, and Taraji P. Henson, tells the true life story of three black engineer women who used their smarts, wit, and talent to aid John Glenn becoming the first American to orbit the Earth. Katherine Johnson, played by Henson, is a trailblazers who shows that woman do have a place in math and science. Hidden Figures will be released in early January and is already strumming up a lot of chatter. Spencer has been nominated for a Golden Globe and SAG Award and the movie’s cast received a nomination for a SAG Award. What would this list be without mentioning the two modern day queens of the music industry…Queen Bey and Adele. 2016 was an awesome year for both women. 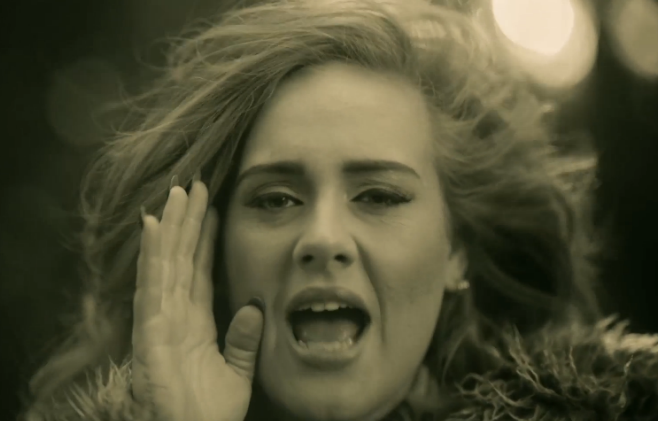 At the end of 2015, Adele released her third studio album and had us all yelling “Hello, from the other side!” Then she announced her third world tour and everyone running to their local box office (us included!) to beg and plead for tickets. Adele Live 2016 was performed 122 times, viewed by 1.47 million and earned $150 million. She did this all while showing everyone how funny she really is. Then there is Queen Bey herself. 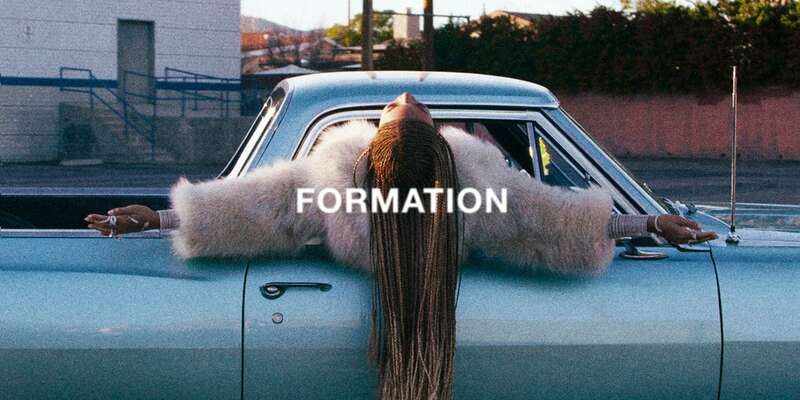 Beyonce released a girl power album this year and sent the call to women all over the world to “Get in Formation“. After performing at Super Bowl 50 and debuting her visual album Lemonade, Beyonce announced a world tour. The Formation tour raked in $256 million and was performed 49 times. Oh! And Beyonce soared pass Madonna for the most number of VMA awards. Phew…that’s enough! We’re not worthy. Let everyone breath for a second…but neither women stopped there. To top off the end of their years, both women received record number of Grammy nominations. Beyonce with nine and Adele with five nominations. Tune in on Feb 12 to watch the ladies perform and see who takes home some awards. Ever wish you had a crystal ball that would let you know that everything will be alright? The crystal ball would show you what pitfalls to avoid in order to becoming the CEO, if you married your college sweetheart and had 2.5 kids, and if you got everything you wanted in life and more. Welcome to the Ambition Interview. Two college friends, Hana Schank and Elizabeth Wallace, questioned ‘What happened to their ambitious friend’s post college?’ They reached out to their former sorority sisters to check in on how their lives panned out. The results are shared in a six-part essay. Schank and Wallace found that the women fell into one of three groups: 1. High Level Achievers: C-level executives, 2. Opt-Outers: left the workforce after their first child, and 3. The Scale Backers: women who remained in the workforce but took positions that allowed flexible schedules. What group will you fall into? What group do you want to fall into? That wraps up our 2016 list! What is the best thing that happened to you this year? What are some of your favorite girl boss moments of 2016? Tell us in the comment section below. Happy 2017 from your friends at Suited and Savvy!